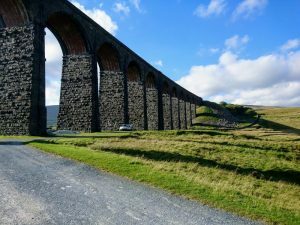 Cubs, Leaders & Parents from both Cub pack made the trip to Ribblehead Viaduct to go caving. Everyone, including the parents & leaders were a little apprehensive, but once we were dressed in our oversuits and Helmets it was off to the caves to find our limits. 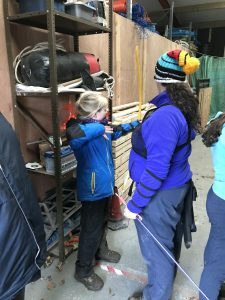 The Cubs were outstanding, Leading from the front, the highlights for the day, sliding down limestone in to the water & having to work as a team in total darkness to navigate our way through the caves. 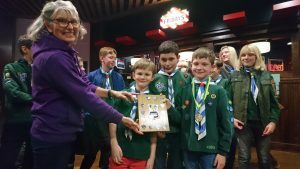 Both Sherburn packs entered the District Tenpin Bowling competition at Xscape – Castleford. Sherburn won individual high score with 133 and highest scoring team with 580. Both teams played really well with the other team just missing out on 3rd place. 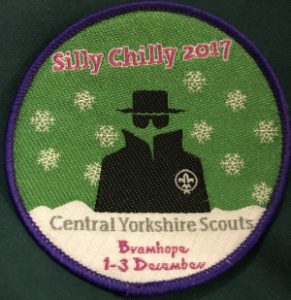 With the Beast from East descended upon on it was decided to change the program for Phoenix Troop. 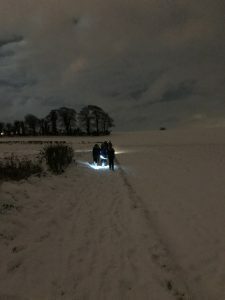 A few brave and hardy souls met up at he normal time and after a quick check of kit and the forecast we set out on a small hike. It had stopped snow and the clouds cleared for awhile. 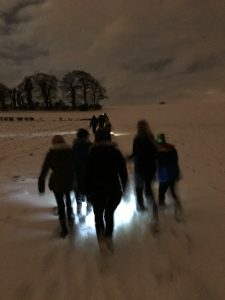 The Scouts were impressed how bright it was without torches. We all got back to hut safe and sound and were welcomed by Bungle who had got the hot chocolate ready for us. Silly Chilly 2017 is complete and we made it, so honour and recognition for all who made it back. 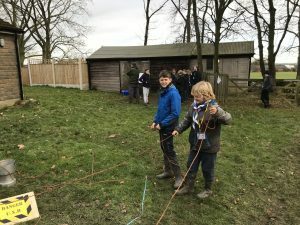 The setup of the site was cold and wet with snow on the ground but by the time the hardy Scouts turned up ready for the adventure the cold had gone and its was only a little bit chilly. Fire-pits helped to remove the chill and after a evening of them getting to know the site they went to bed with high hopes of the activities that waited for them the next day. An early breakfast to give them energy for the day and then they were let loose on the activities. 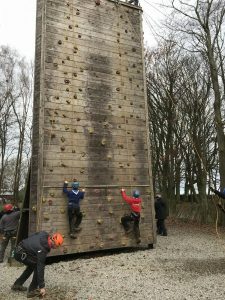 Zip wire, high ropes, archery, shooting, cave bus, orienteering, police riot gear, laser tag, code cracking, bomb disposal plus many more had them busy all day, after tea was a site Campfire led by Bungle (which is a sight to behold), then Fireworks and a Casino night. Some very tried Scouts headed back to the tents. They must have all been tired as the group slept in and were almost late for breakfast. Then a County wide competition on the Chevin, Man hunt orienteering. 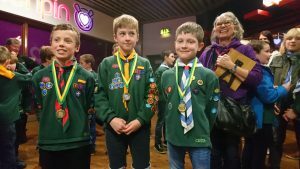 Still waiting to hear from County who won but we think the 3 Sherburn teams did very well. Back to Camp for lunch and the camp closing ceremony. A quick tidy and pack up and it was time for the Scouts to be picked up and to go home. From the reports we have had they all had a great time and so did we. A great camp and very impressed with all our Scouts.